This article addresses strategies for reducing project duration either prior to setting the baseline for the project or in the midst of project execution. Choice of options is based on the constraints surrounding the project. For example, there are many more options available for reducing project duration if you are not resource constrained than if you cannot spend more than your original budget. We will begin by examining the reasons for reducing project duration followed by a discussion of different options for accelerating project completion. The series will conclude with the classic time-cost framework for selecting which activities to “crash.” Crash is a term that has emerged in the Project Management lexicon for shortening the duration of an activity or project beyond when it can be normally done. 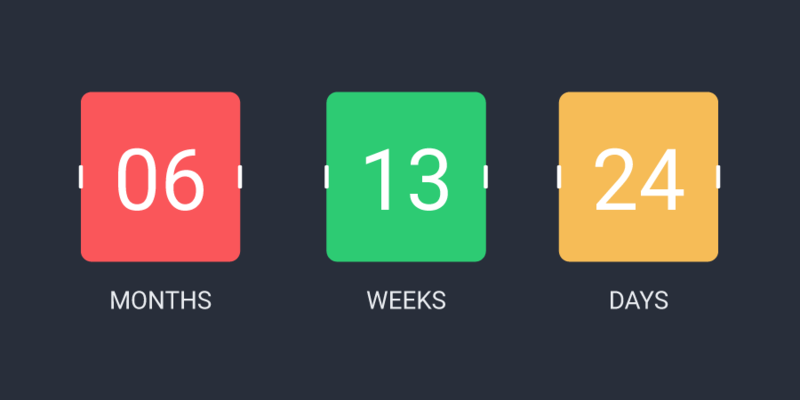 After finalizing your project schedule, you realize the estimated completion date is two months beyond what your boss publicly promised an important customer. Five months into the project, you realize that you are already three weeks behind the drop-dead stage of the project. Four months into a project top management changes its priorities and now tells you that money is not an issue. Complete the project ASAP! There are many good reasons to attempt reducing project duration. One of the more important reasons today is time to market. Intense global competition and rapid technological advances have made speed a competitive advantage. To succeed, companies have to spot new opportunities, launch project teams, and bring new products or services to the marketplace in a flash. Perhaps in no industry does speed matter as much as in the electronics industry. For example, a rule of thumb for moderate to high-technology firms is that a six-month delay in bringing a product to market can result in a loss of market share of about 35 percent. In these cases, high-technology firms typically assume that the time savings and avoidance of lost profits are worth any additional costs to reduce time without any formal analysis. Business survival depends not only upon rapid innovation but also adaptability. Global recession and energy crises have stunned the business world, and those companies that survive will be those that can quickly adapt to new challenges. This requires speedy project management! For example, the fate of U.S. auto industry depends in part on how quickly they shift their efforts to develop fuel-efficient, alternative forms of transportation. Another common reason for reducing project duration occurs when unforeseen delays—for example, adverse weather, design flaws, and equipment breakdown— cause substantial delays midway in the project. Getting back on schedule usually requires compressing the time on some of the remaining critical activities. The additional costs of getting back on schedule need to be compared with the consequences of being late. This is especially true when time is a top priority. Incentive contracts can make reducing project duration rewarding—usually for both the project contractor and owner. For example, a contractor finished a bridge across a lake 18 months early and received more than $6 million for the early completion. The availability of the bridge to the surrounding community 18 months early to reduce traffic gridlock made the incentive cost to the community seem small to users. In another example, in a continuous improvement arrangement, the joint effort of the owner and contractor resulted in early completion of a river lock and a 50/50 split of the savings to the owner and contractor. “Imposed deadlines” is another reason for reducing project duration. For example, a politician makes a public statement that a new law building will be available in two years. Or the president of a software company remarks in a speech that new advanced software will be available in one year. Such statements too often become imposed project duration dates—without any consideration of the problems or cost of meeting such a date. The project duration time is set while the project is in its “concept” phase before or without any detailed scheduling of all the activities in the project. This phenomenon occurs very frequently in practice! Unfortunately, this practice almost always leads to a higher cost project than one that is planned using low-cost and detailed planning. In addition, quality is sometimes compromised to meet deadlines. More important, these increased costs of imposed duration dates are seldom recognized or noted by project participants. Sometimes very high overhead costs are recognized before the project begins. In these cases it is prudent to examine the direct costs of shortening the critical path versus the overhead cost savings. Usually there are opportunities to shorten a few critical activities at less than the daily overhead rate. Under specific conditions (which are not rare), huge savings are possible with little risk. Finally there are times when it is important to reassign key equipment and/or people to new projects. Under these circumstances, the cost of compressing the project can be compared with the opportunity costs of not releasing key equipment or people. Next part of the series, 9 Ways to Speed Up Project Delivery, can be found here. Hope you enjoyed this article on reducing project duration. Looking forward to hear your ideas and opinions in the comments section below.